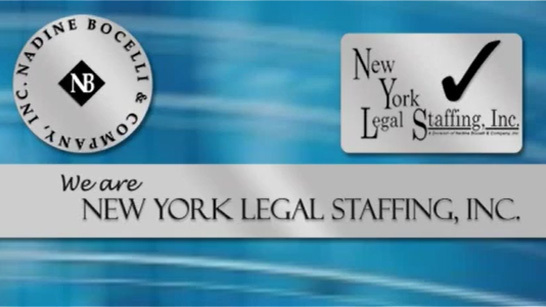 Legal Administrative Assistant – Entertainment Law – Nadine Bocelli & Company, Inc. – New York Legal Staffing, Inc.
A well-established midtown Manhattan law firm is looking to hire a smart, proactive and personable legal administrative assistant to support three hi-profile entertainment attorneys (a named partner, partner and counsel). Responsibilities will include managing general administrative duties such as filing, answering phones, scheduling meetings and calls, correspondence on attorneys’ behalf, logging and submitting receipts for reimbursement, and light paralegal work (preparing engagement letters, editing and revising entertainment contracts documents, note taking etc. ); scanning documents; managing attorneys’ entire billing process including inputting time sheets, sorting bills for review and scanning/emailing bills out to clients; and writing first drafts of emails and letters. Assist other secretaries with overflow work and provide backup legal secretary support during vacations, leaves of absence, etc., and provide backup support for reception, conference room and office services functions. Work Schedule: Monday - Friday, 9:30 am - 5:30 pm. Salary commensurate with experience. Comprehensive benefits package.